I’ve been very surprised at the number of apps that don’t rotate the screen to allow the user to hold the device so that the majority of the screen can be utilized for data entry/content manipulation. The iPhone is a data-driven device and it interrupts the flow when the app does not rotate the screen. App developers are forcing people to use the device like the one that most of them abandoned; the BlackBerry. There’s a lemur on Madagascar called an Aye-aye. It has a thin middle finger that can be up to three times longer than it’s other fingers. 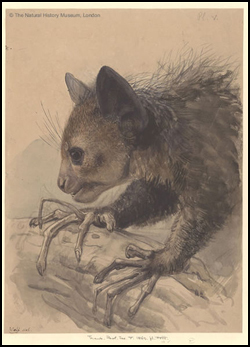 Evolution has changed this finger to enable the Aye-aye to pull insects out of small holes, to eat. If iPhone applications developers don’t enable their applications to rotate when the device is held horizontally, so we can be “all thumbs”, we could soon develop elongated middle fingers as well. I for one, don’t want to be like an Aye-aye.